Nourish innovator Travis Durham and his long-term care organization Grove Park Home was awarded the Advantage Ontario’s 2018 Innovation and Excellence Award, which recognizes innovative programs or techniques in workplace quality and the provision of care or services for seniors. Nourish led Travis Durham, who was already passionate about obtaining local produce for resident meals, to lead several projects including a resident-focused vegetable garden and on-campus honey production. 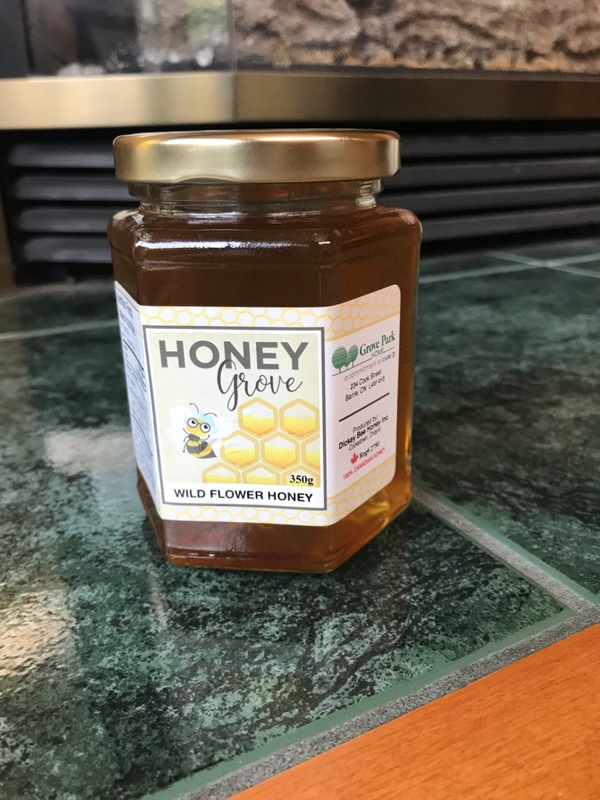 He started honey production in the spring of 2017, where he invited a local honey producer, Dickey Bee Honey, as an educator and end-producer. Since then, a private honey label was created with 300 jars of honey produced for sale to the community, leaving enough honey for his resident population for meal service and food production. Travis also wrote an article how to introduce beekeeping and honey production to health care here. Travis also led the creation of an on-site vegetable garden by collaborating with a local company The Growing Connection, which donated a dozen Caja garden boxes, initial supplies and start up labour. The garden boxes were placed on concrete blocks in an enclosed center garden, and a ramp created to make the garden accessible to the resident population. 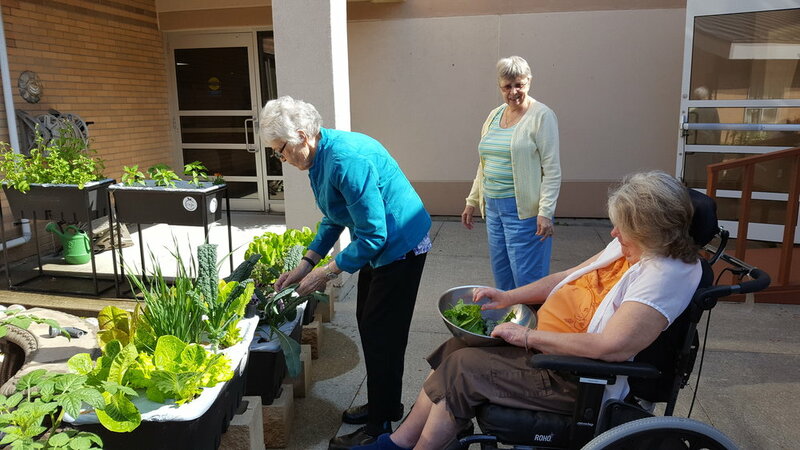 Since then, residents have been encouraged by Manager Barb Caicco’s Life Enrichment staff to spend time in the gardens tending to weeds and picking fresh vegetables. All of the vegetables have been used in the preparation of resident meals. As a next step, the Resident Leadership Team has announced that they will fund the purchase of an additional one dozen garden boxes, start up supplies and labour for Spring 2018. Travis and his winning organization was presented with a framed certificate and a $1,000.00 cash award at the 2018 Annual General Meeting & Convention at the Westin Harbour Castle Hotel in Toronto.